You are most likely familiar with the classic pesto made with basil and pine nuts. Today, we are about to take pesto to a whole new level. 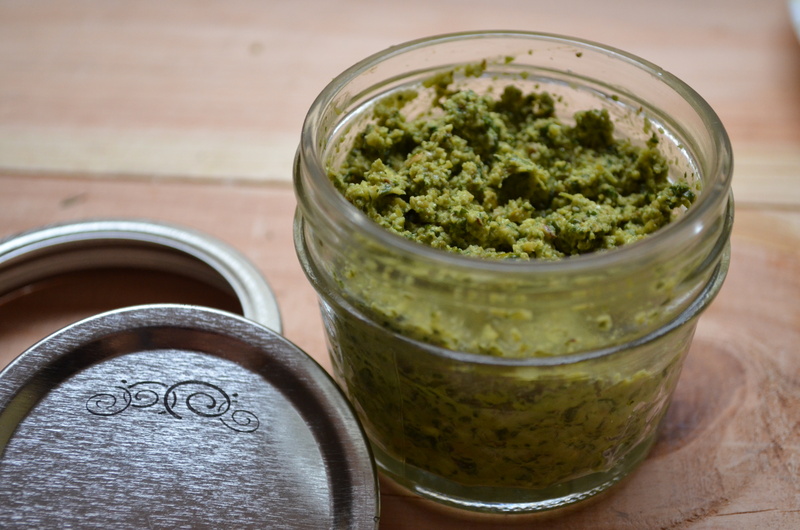 In 10 minutes, you will have a delicious alternative pesto that will add a flavor kick to many of your favorite foods. Sprinkle 1/4 tsp sea salt over kale in a bowl and massage for 3 minutes (or until wilted). Blend all ingredients into food processor until well combined. For creamier pesto, add more olive oil. Nutrition fact: Consider this pesto as a healthy fat addition to your snacks and meals. The almonds and olive oil will keep you feeling full for longer when combined with a carbohydrate and/or a protein. 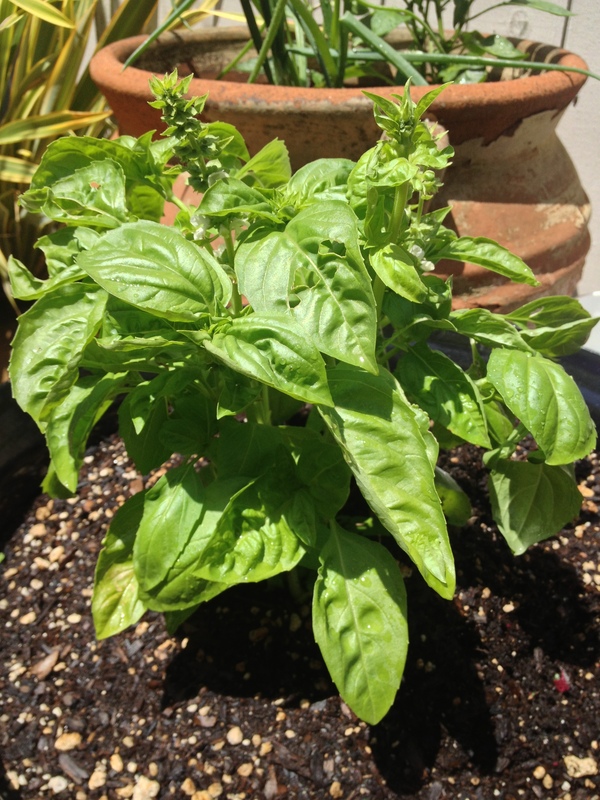 Plus this pesto gives you a great excuse to sneak more leafy greens and herbs into your diet.